Marker Wadden: a wonderful and ambitious eco-engineering project that will create a dynamic wetland system rich in benthic and wetland diversity. In this ecosystem design, fine sediments will be accumulated in atolls to form new soil which can eventually develop into valuable ecosystems. Here, we describe a research project focused on the Marker Wadden. We especially focus on regime shifts within the context of alteration of fine sediment into clay soil. In the current research project, consisting of three sub-projects, we will use the interplay of biological, chemical and physical interactions and will focus on risks in a governance setting for this ecosystem design. The acquired scientific knowledge will be used to assess which ecosystem services will evolve and how such systems should be managed. The results of this project may both guide the design of the Marker Wadden and serve as an international, scientific example of building with mud to create new land. 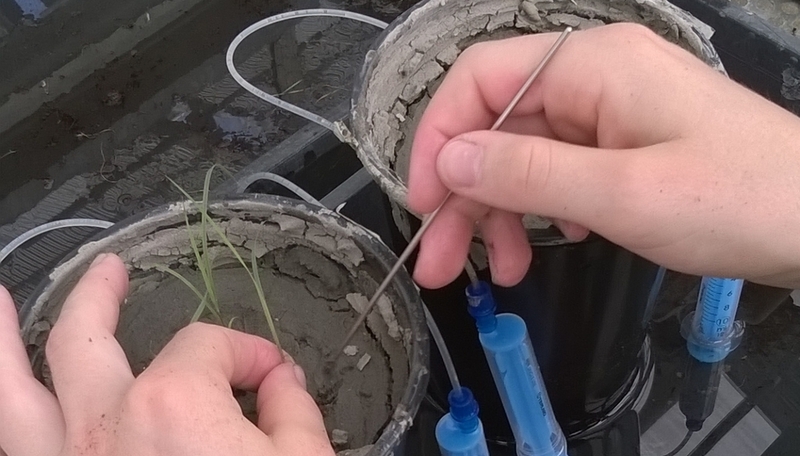 This project focus on the strength behavior of mud sediments through the consolidation process. The influence of crust formation and the physical-chemical interactions is carefully studied. Consequently, important engineering rules for wetland creation are provided, contributing to the understanding of the mechanisms for new soil formation from soft sediment. This project aims to understand how aquatic and wetland ecological processes will feedback and interact with the consolidation and soil forming processes. The challenge in this project is to understand the interplay and feedbacks between biogeochemistry, hydrology, sedimentology, geomechanics and aquatic and terrestrial ecology. The Dutch Nature Conservation foundation Natuurmonumenten proposed the MarkerWadden project to create dynamic wetland islands by using local sediment. In this SMART ecosystem concept, an autonomous development is foreseen in which benthic and wetland biodiversity interacts with physical and biogeochemical processes during the consolidation of sludge.